Welcome Doormat they will feel right at home! This cute doormat is designed to tolerate the weather, resist mold and mildew, and remain color fast through it all. It is made of natural coir and backed with vinyl for durability and traps dirt and moisture to keep it from tracking into your home. In addition, ladybugs are great for your Feng Shui. Having one faced to come into your home is bringing good along with it. 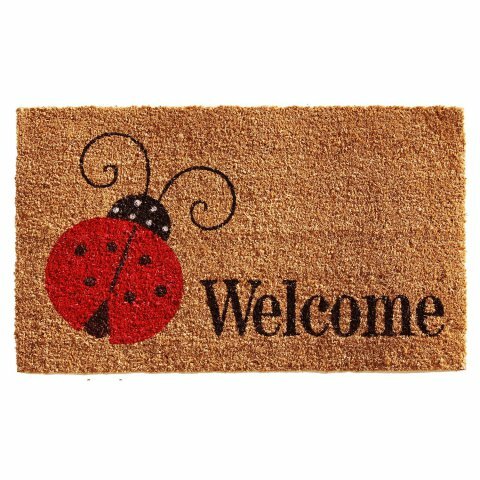 To order a Ladybug Welcome Doormat, click here.